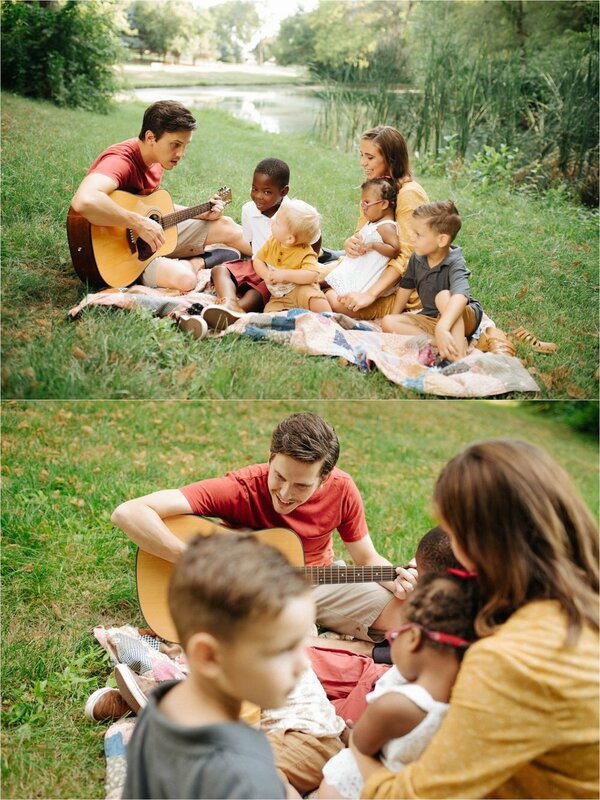 I had the pleasure of photographing the Craig family not too long ago. I had a blast! Lifestyle sessions are quickly becoming my favorite thing. 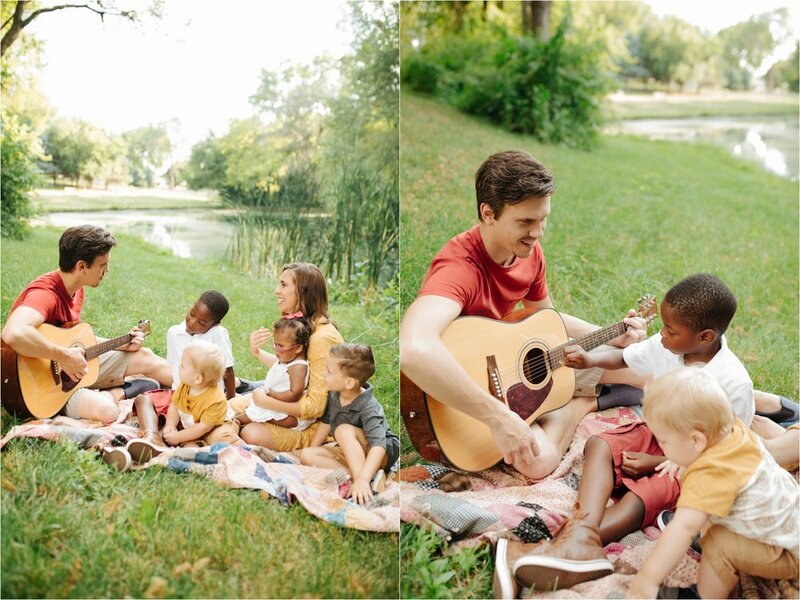 I love capturing families as they truly are. It's okay to be messy and disorganized! So, you picked the perfect outfits and did everyone's hair, and the portraits aren't quite going how you thought they would? Why do they have to be this perfect thing?! I love capturing kids as they are, and parents interacting with them. It's a great feeling when parents receive their portraits and are blown away by how great everyone looks. Even if you think the worst is going to come from portrait sessions, think again! 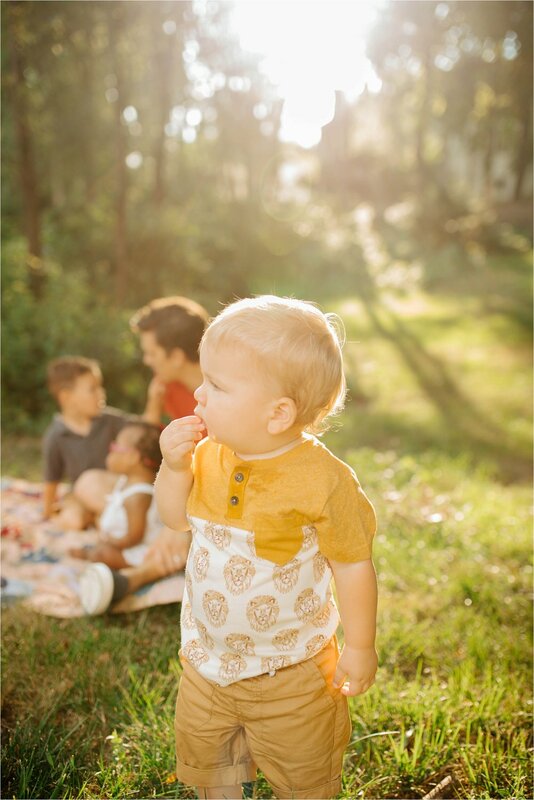 Lifestyle sessions are a great way to remember how your family was at that point in time. It's a great way to look back and see how your kid's personalities were and how young everyone felt. So don't be shy! 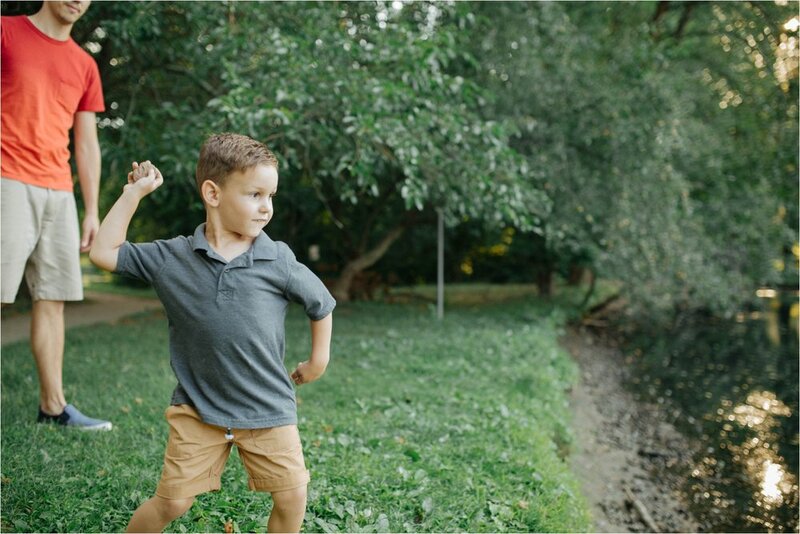 Let's do your favorite thing with your family and capture great memories! The Craig family lives in a quiet neighborhood in Urbandale. 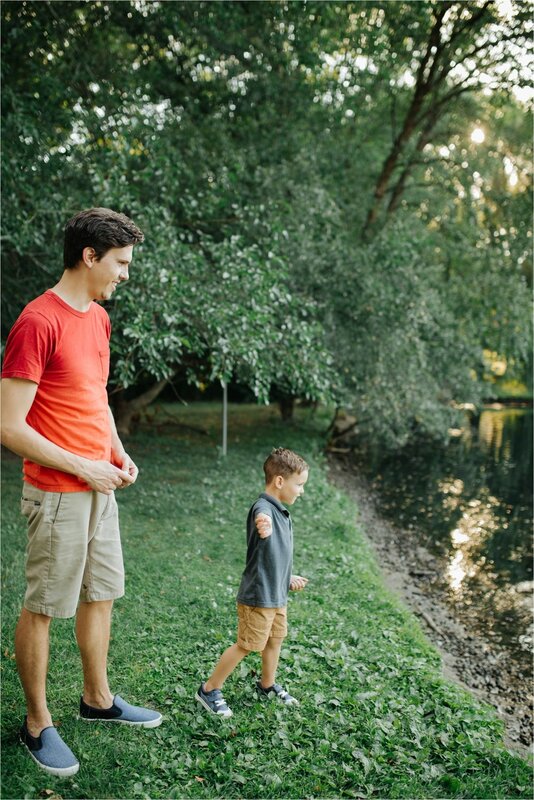 They have this trail and pond area where they like to walk to all the time, so that is where we took these portraits! It was great to skip rocks with dad and eat cookies and lemonade on the blanket. I think the kids had the most fun passing the ball around with mom and dad! 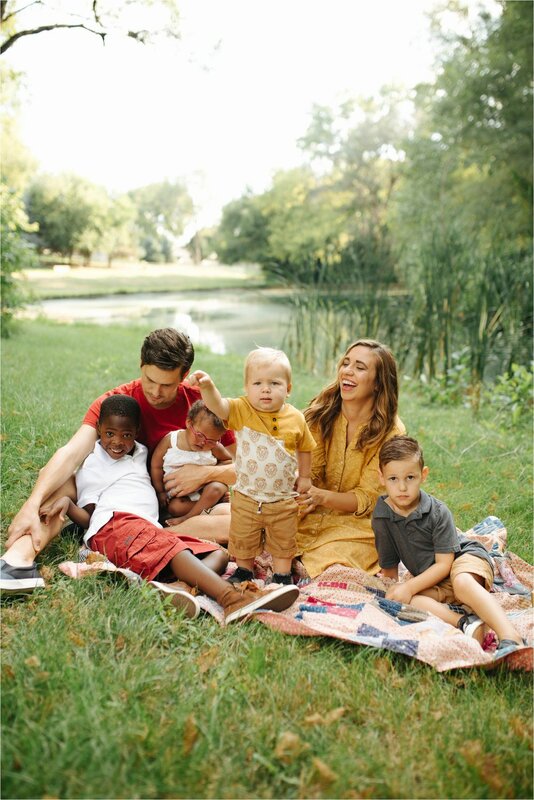 I love how this family interacts with each other and makes the best of moments that aren't so sweet (like when one child is deathly afraid of frogs staring at him). It will be a great story to tell the kids some day when they look at these photographs. It is my pleasure to capture moments like these. Kayla Craig was our winner on Instagram from the Catch This Mama Giveaway! Be sure to follow along with us and Catch This Mama for future giveaways. You could win a photo session like this! Also, check out Kayla's work! 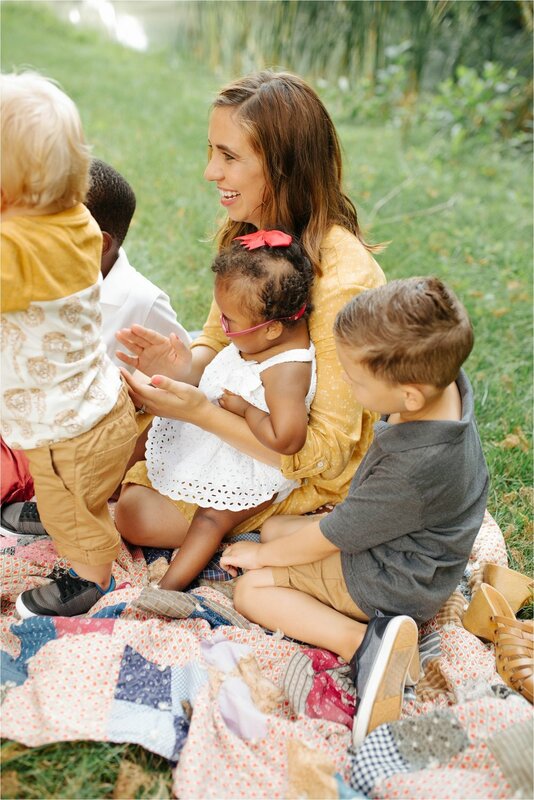 She's a journalist and stay-at-home mom to these four beautiful kids and she does a great job! She also wrote a children's book about adoption, identity, and family called Just Really Joseph, how cool is that?! You can see all of her work here.